If there’s one thing that I’ve learned from running with a team of 90s Legends in NBA Live 18’s Ultimate Team, it’s that you need to have some three-point shooters in your lineup. It’s fun to dunk on people with Shawn Kemp and Shaquille O’Neal, but if you want to win games – especially the really tough challenges – you must be able to hit from long range. Chris Mullin, Glen Rice, and Mitch Richmond have all proven to be handy players to have in my lineup, but I can think of another sharpshooter that could do some damage: Reggie Miller. The former all-time leader in three-pointers made would no doubt rate as one of the best shooters in NBA Live, if he were included. Unfortunately we haven’t seen Reggie in EA’s series since the Decade All-Star teams were dropped. 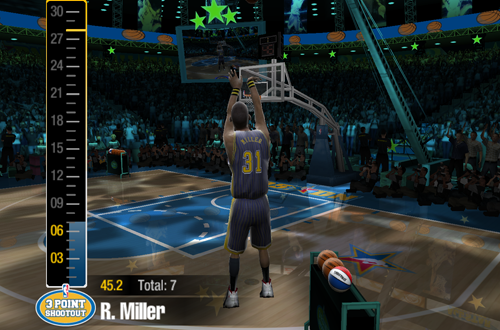 He hasn’t been included in NBA 2K either, where his absence is felt on the All-Time Pacers squad. It also resulted in a missed opportunity with the Jordan Challenge, as his 1998 Pacers would’ve been an ideal inclusion. In any event, Miller has proven impossible to license over the past decade, so it seems an appearance in NBA Live or NBA 2K is a long shot. However, this list is assuming that a deal could somehow get done; if so, Reggie Miller would be a logical addition to the roster of 90s Legends. In fact, why not license Cheryl Miller for The Streets, too? We’re only a couple of years removed from Kobe Bryant’s final NBA game, but The Black Mamba had solidified himself as a future Hall of Famer long before that. He does appear in NBA 2K, dotted throughout the game’s historical content, but as of NBA Live 18, he’s absent from EA’s game. My understanding is that 2K has signed him to an exclusive deal, but if not – or if the situation changes when his current deal expires – I hope that we can see him in NBA Live as well. As the youngest and most recent player on this list, he arguably holds more appeal for younger gamers who saw him play, but didn’t grow up with some of the Legends from previous eras. That’s not to say that he doesn’t appeal to older gamers as well. If the aim is to feature a roster of Legends that is as complete as possible, then Kobe Bryant should certainly be on the list. Ultimate Team’s selection of Legends already boasts stars from the 2000s including Steve Nash, Amar’e Stoudemire, and Tracy McGrady. The decade may not feel as “retro” as the 1990s and earlier, but we are more than ten years past its midway point, and it’s definitely worth celebrating the recent past as well. While a lone prime version of Kobe would be great for a Legends Pool, ideally Ultimate Team would offer up both #8 and #24 versions in separate packs and challenges. The league’s all-time leading scorer in the regular season has appeared in several NBA 2K games: first as one the players with their own challenge in NBA’s Greatest, and more recently as a member of the All-Time Bucks, All-Time Lakers, and the ’87 Lakers teams. In between, he was one of the players who briefly went missing after his likeness agreement expired. The Captain’s history in NBA Live has been similarly spotty. 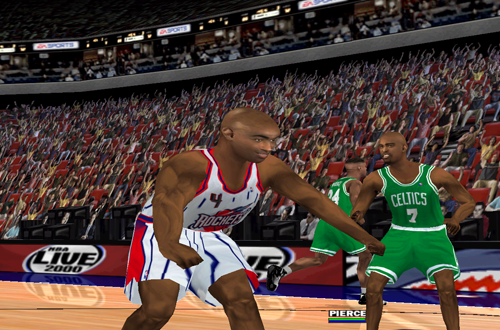 He wasn’t featured among the Legends and Decade All-Stars for many years, until he was finally licensed in NBA Live 2005. 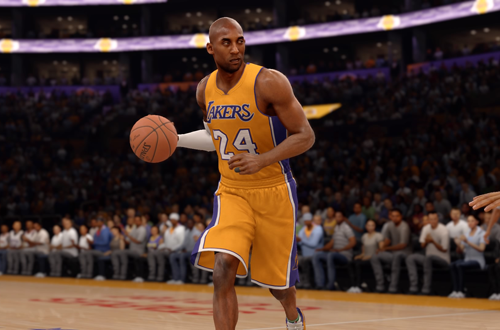 Unfortunately, he’s currently does not appear alongside his fellow Lakers greats and legendary centres in NBA Live. Now, if you want to stack your Ultimate Team with an all-time great as your man in the middle, there are a lot of fantastic players that you can acquire in the game. It would be great if Kareem were among them, though. Strange as it may seem, I feel that Kareem – along with Larry Bird – is one of the more overlooked all-time greats. Sure, he’s talked about, but it feels like those two always end up ranking a little low when fans and analysts rate the best of the best. I think he should be celebrated in as many video games as possible, and it’d also be a nice throwback to Lakers vs Celtics, where Kareem’s iconic skyhook stood out as one of the game’s signature moves. For whatever reason, Take-Two continues to refuse Charles Barkley’s offer to appear in NBA 2K free of charge, as long as they make a donation to the Retired Players Association. Sir Charles recently reiterated his stance, noting that the offer remained on the table. With that in mind, what if EA Sports were the ones to take him up on his offer? It does seem that Barkley is genuine in his promise, as well as his desire to help out the players who came before him and didn’t make the same kind of money that he did. If EA were to make that contribution in the name of getting Charles Barkley into NBA Live, they’d be helping out some of the pioneers of the NBA. They would also be adding a player that has rarely appeared in video games over the years, and someone gamers clearly want to play with. Frankly, it’s a scenario where everyone wins, which is why it’s so puzzling that 2K has refused the offer. Their loss could be NBA Live’s gain however, and I’d certainly enjoying seeing him in Ultimate Team and other modes. Sir Charles did appear in a couple of NBA Live games in the late 90s, and a couple more at the turn of the millennium as a Legend, but it’s been a long time since his last official appearance; almost two decades, in fact. There’s really only one player who would be a bigger “get” for EA Sports in terms of Legends. Who else was going to top my list? Of course my all-time favourite player, Michael Jordan, is the Legend that I most want to see in NBA Live. It seems highly unlikely as his contract with 2K Sports is an exclusive deal (as far as I’m aware), but if ever there is a possibility that he can appear in NBA Live as well, I hope that they jump on the opportunity. It would only be fitting; while NBA 2K has obviously done tremendous things with historical content and Michael Jordan in particular, the Legends concept began with NBA Live 2000, with MJ as the star attraction. He also has a long history with EA that includes Michael Jordan in Flight, and Chaos in the Windy City. On top of featuring him in a 90s All-Stars squad, the Legends Pool, and any other capacity, I’d love to have Michael Jordan available in NBA Live’s Ultimate Team. 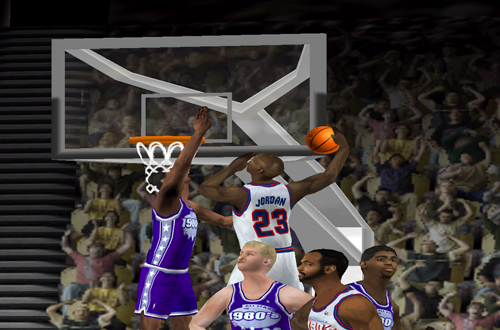 I was able to snag a ’93 Michael Jordan in NBA 2K14’s MyTEAM, but I haven’t had any luck since. Ultimate Team’s pack odds and approach to Legends packs are much better than MyTEAM, so I feel like I’d actually have a shot at getting him. Michael Jordan’s name obviously still means a lot to basketball and basketball gamers, and flat out makes money. If His Airness were to ever return to NBA Live, it would likely be a clear sign that the series is right back where it needs to be. Alright, it may seem really strange to single out Derrick Coleman as the sixth player for an honourable mention, but hear me out. Outside of the aforementioned Legends, NBA Live already does have a lot of the big names licensed: Magic Johnson, Larry Bird, Julius Erving, Wilt Chamberlain, Bill Russell, John Stockton, Karl Malone, and Moses Malone, to name just a few. There’s also a good selection of second-tier stars and well-known players from the 80s and 90s already featured in Ultimate Team. To that end, I’d nominate Derrick Coleman as a suitable player to represent the Nets (New Jersey and Brooklyn), joining former teammate Kenny Anderson. 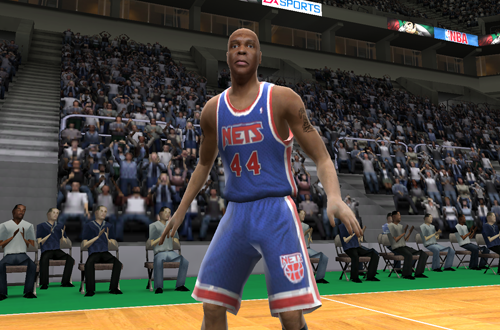 I was actually disappointed when I found out that he wasn’t among the Nets Legends that were available in NBA Live 18. I wasn’t expecting to see any of the players in my Top 5 in last year’s game, but I thought Coleman might make the cut. Coleman is a fascinating player to look back on; at one point, it looked like he was going to become one of the elite big men in the league. He could score inside and out, pass, rebound, block shots, and handle the ball. In many ways, he was a forerunner of the power forwards that we’ve come to see more of in today’s NBA. Injuries and a lack of drive saw him fall well short of his potential, but at his peak, he was quite a player. Which other Legends would you like to see featured in NBA Live? 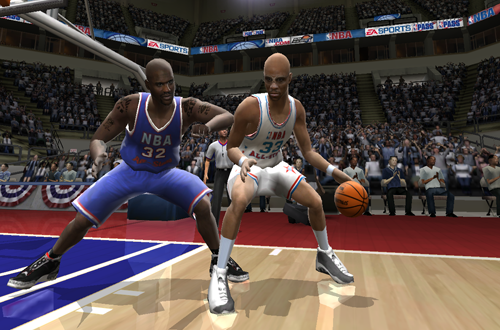 How else should NBA Live utilise historical content? Have your say in the comments section below, and as always, feel free to take the discussion to the NLSC Forum! That’s all for this week, so thanks for checking in, have a great weekend, and please join me again next Friday for another Five. It stands to reason, as EA hasn’t licensed them for any platform.